Separate or cut each can of dough into quarters (if using crescent rolls, press perforations to seal). 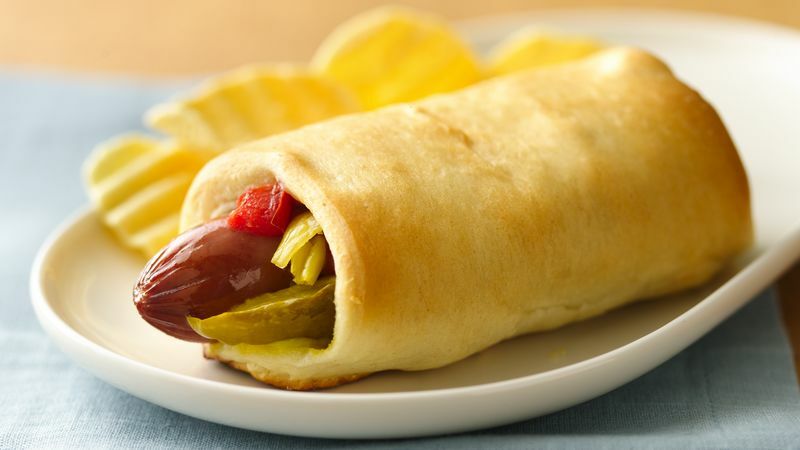 Place hot dog, pickle and peppers at one short end of each rectangle; sprinkle with tomato. Roll up; pinch edge to seal. Place seam side down on ungreased cookie sheet.